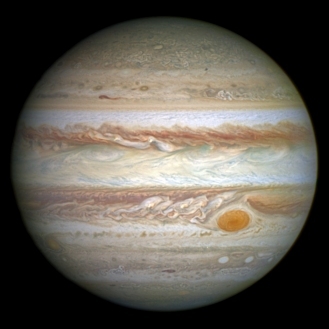 An image of Jupiter as captured by the Hubble Space Telescope. Years ago, I was editing an elementary-level science text, and I ran across a statement that didn’t make a much sense to me. The author said that Jupiter acted as a “shield,” protecting earth from comets that could hit it. I am not an expert in orbital mechanics, but I couldn’t understand how that would work. It’s true that Jupiter is quite massive; therefore, its gravity would tend to attract comets towards it. However, it seemed to me that its gravity could just as easily attract comets toward the inner solar system (where the earth is) as deflect them away from it. Thus, I didn’t see how Jupiter could do what the author suggested. …terrestrial planet systems physically similar to ours may be abundant but hazardous unless protected by gas giant planets. This seemed to support the idea that Jupiter “protects” earth from comets, so I didn’t suggest any changes to the author’s statement. However, I still avoided making such a statement in my own textbooks (as least I think I did), because the physics of the claim still did not make any sense to me. Well, yesterday I attended two lectures by Dr. Kevin R. Grazier at Anderson University, where I am an adjunct member of the faculty. Dr. Grazier is a planetary scientist at NASA’s Jet Propulsion Laboratory, but that’s not why I wanted to listen to his lectures. 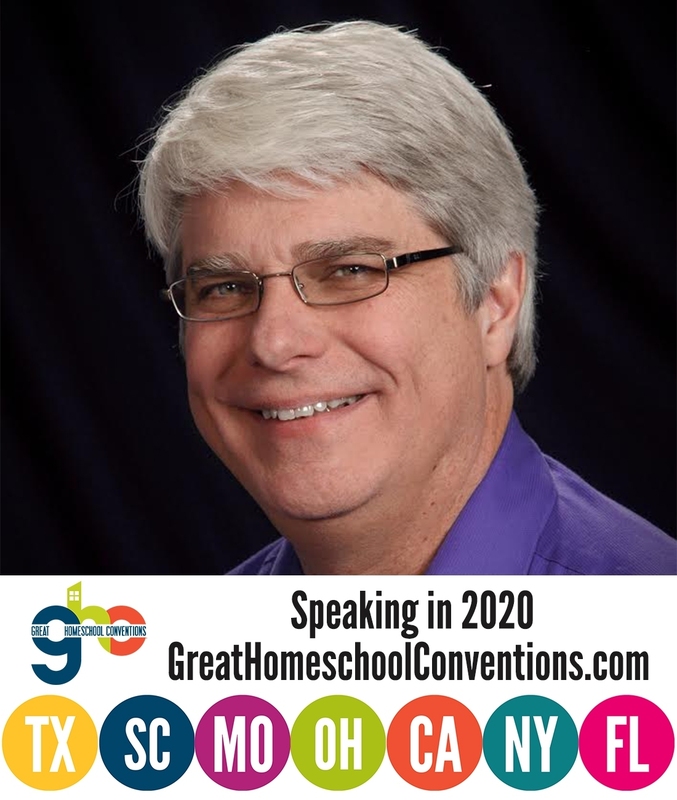 He is also a science consultant for television shows and movies, and I wanted to learn more about how that works. I have served as an unofficial science consultant for one yet-to-be-produced screenplay, but I was really interested to learn how the process works in productions that are actually being made. The more he talked about his experiences, the more interested I became, because I learned that he has consulted for some of my favorite television shows. He was the science consultant for Eureka, Defiance, Falling Skies, and the reboot of Battlestar Galatica. Aside from the first series (which I never really got into), those are some of my favorite television shows! In fact, had Battlestar Galatica ended more reasonably, I would probably call it the best science fiction series that has ever been on television. Because of its awful ending, however, I rank it just under Babylon 5, which every science-fiction fan should watch in its entirety. He also was the science consultant for Gravity (one of the more scientifically-accurate space movies) and will soon start working on Pirates of the Caribbean: Dead Men Tell No Tales. While his experiences with films and television shows were fascinating, and while he did confirm my thoughts regarding “scilebrities” Bill Nye and Dr. Neil deGrasse Tyson, it was something he said about his scientific research that inspired this post. Have you heard that Jupiter protects the earth from comets? It’s rubbish. Clearly, Jupiter alone is not an efficient defender of the inner Solar System from comets originating in the outer Solar System; as these simulations showed, it likely shunts as many comets toward the terrestrial planets as it deflects away. Now he does point out that in this naturalistic model, Jupiter may, indeed, play a role in making life possible for earth. One of the many, many problems associated with forming an earth-like planet in a naturalistic way is the presence of so much water. Based on how the earth is thought to have formed, its very early stages would be so hot that a lot of the water on the planet would have vaporized and drifted into space. However, we know that there is a lot of water on earth now, so the question becomes, “How did it get here?” One favored hypothesis is that lots of comets or other water-laden materials from space impacted earth, delivering water to it that way. While I am skeptical of the hypothesis, Grazier’s paper suggests that Jupiter could have actually helped promote that process. Regardless of whether or not this paper helps to solve the “water problem” associated with a naturalistically-formed earth, it definitely casts strong doubt on the idea that Jupiter plays a role in protecting the earth from comets. I loved star trek as a kid but could never like, musch less love, sci fi tv shows. They are lame and terrible but maybe i shouldn’t say that. I recently saw lord of the rings/hobbit and it was great thought with issues. I never heard jup was thought to knock aside fouls from space. If their timelines wre right then earth has hardly been hit by impacts. If its only been 6000 years we have more impact chances. I think most impacts were before the flood and few after. i think god is watching us on this. if a comet suddenly comes then why would it be hard to figue out if jup would interfere.? if a comet was “seen” to be coming would jup be calculated to stop it or not? thats a good terst of these things unless we could never never see a invading comet suddenly appearing. Of coarse sci fi’s stories often include stopping comets. A big one a ffew years ago but no mention of jup. I have always been under the impression that Jupiter mass and gravitational influence nudged comets. Doing so, would change it’s trajectory. I found an interesting view on the origins of the universe. It’s called: Scriptural Universe Model SUM. It does nudge comets, changing their trajectory. However, these calculations show that Jupiter is just as likely to change their trajectory towards earth as it is to change their trajectory away from earth. What are the differences between my old chemistry course and my new chemistry course? Is There An Undiscovered Planet in Our Solar System?